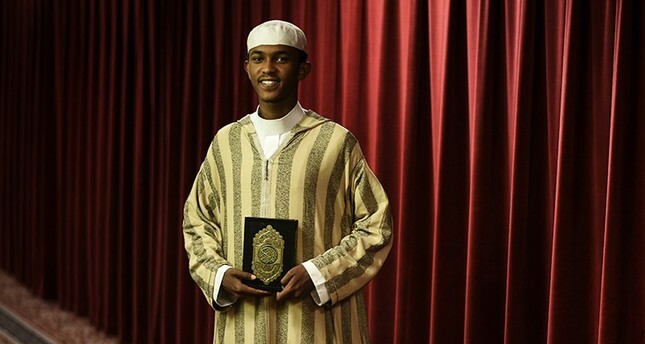 A Minnesota teenager who became the first American to win a prestigious Quran recitation contest will travel to Somalia to meet the country's president. Ahmed Burhan Mohamed has become a bit of a celebrity since winning the Dubai International Holy Quran award last month. The 17-year-old, who beat out more than 100 other contestants from around the world, said he has been swarmed by admirers everywhere he goes. "It's too much, I was not expecting this," Mohamed said. "People give me so much respect. Now people that I don't know come up to me and they know my full name." Mohamed will travel to Somalia this week at the invitation of the East African country's president, who also wishes to meet and congratulate the teen, the Star Tribune reported. Minnesota is home to the largest Somali population in the United States. Mohamed received a perfect score on his proper pronunciation, voice and style as he recited random verses of the Quran from memory. The Quran has more than 6,000 verses and spans more than 600 pages. He received a trophy and a cash prize worth about $68,000. His next goal: participate in an all-star Quran reciter competition in Qatar in 2020, which has a first place prize worth half a million dollars. His win stunned Minnesota's large Somali community, which is mostly concentrated in the Minneapolis area, where many doubted that someone raised in the state could compete with people raised in Muslim countries. Mohamet "Hambaase" Ali is the former principal of the Islamic school at Abubakar As-Saddique mosque in Minneapolis where Ahmed trained. He said Somali parents often send their children to Africa so they're better accustomed to their culture and religion. Ali said many of those families are wary of their children growing up in the U.S. and losing their cultural identity. But Ali said he believes children can simultaneously maintain their American identity while meeting cultural and religious expectations. The proof, he said, is Mohamed. "Children have more opportunity here in the United States than Africa," Ali said. "They belong here."